FUTON by Futonwerk ... Welcome to the original! We invite you to learn everything about futons and how to appreciate your sleep in the nicest way. The perfect compound of fine cotton, strong wool, robust coconut and horsehair fibres in addition to the highly resilient core of natural rubber latex distinguishes each of our futons and provide pleasurable nice sleep - an enjoyable experience. We manufacture finest futons, at friendly prices - advice individually - and deliver to your doorstep. For 30 years these futons are benchmark for futon quality. Exquisite materials in perfect composition guarantee top quality; ensure first-class futon-pleasure. Indi­vidual adjustment is possible. The use of these delicate futons ranging from shiatsu-practice, resting place or travel-mate up to classical daily use as a sleeping place in shape of TWIN Futon with two of them above each other. A reasonable selection of popular models, partly low-cost, partly ecologically, partly design; find your perfect intersection. A FUTON needs a uniform base and there are 4 useful variations. First of all it is about the raw materials : No compromises. Only selected, exquisite, natural quality materials find the way inside our futons. Then it's about the perfect composition of materials. Which material does what and how does it optimally unfold this performance? Buying tips for your best futon. Your futon is to give you pleasure, a place of well-being ... for as long as possible. This requires a sensible choice. We described our products in a fair and comprehensible way and have given them a weight indication. On the Buying Tips page, you'll find a lot of tips to help you choose your personal best futon. Our sites offer fair information that will help you find your best futon. We find that important. 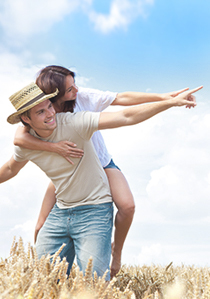 Our personal consultation is oriented to your individual needs, not on sale. This is our principle. 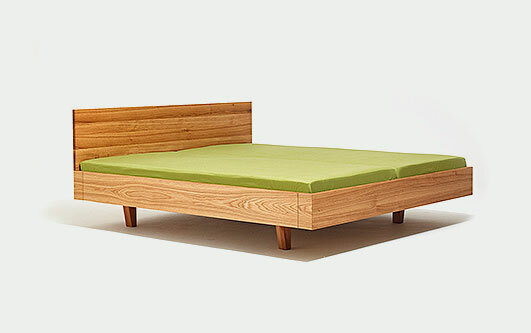 Our manufactory produces futons in a grown tradition, individually and precisely. This is our know-how. Our materials are 100% natural pure and of first class quality. We stand by our name. The satisfaction of our customers is exceptionally large. That makes us happy and therefore we are working. Noble is the futon, helpful and good. 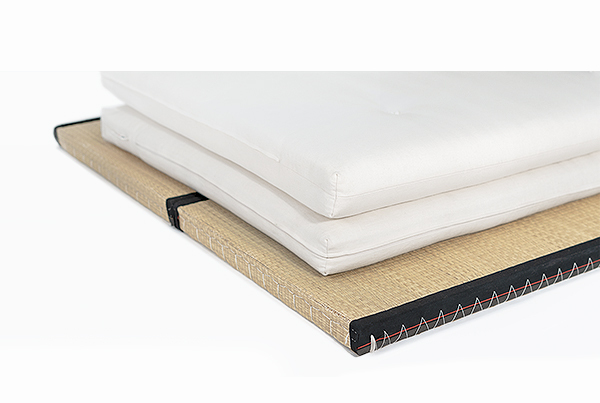 As a classic, ground level area for sleeping, futon has a 2,000 year long tradition in Japan. In literal translation, the word futon means fabric body/quilt and refers to traditional Japanese bedding in general. A traditional futon consists of multiple layers of carded cotton with a maximum height of 10 cm. To always ensure the best sleeping comfort, the amount of futons increases with increasing age. Consequently, even the sleep requirements of older people are fulfilled without changing the functional basic structure of the futon. But despite having the best conditions for a healthy sleeping climate, futon has been increasingly pushed aside by European styled mattresses since the 1990s. Today, only about half of the Japanese people sleep on a futon. The rising interest in healthy sleep has led to a return to some of the old, smart values in Europe which to some extent lie in our history. The first futons already became popular in the 1980s. the advantages of the classical Japanese futon with our needs. The improvement with natural materials like natural rubber, coconut fibre and horsehair increases the softness and the flexibility of the futon in order to extend its lifespan. 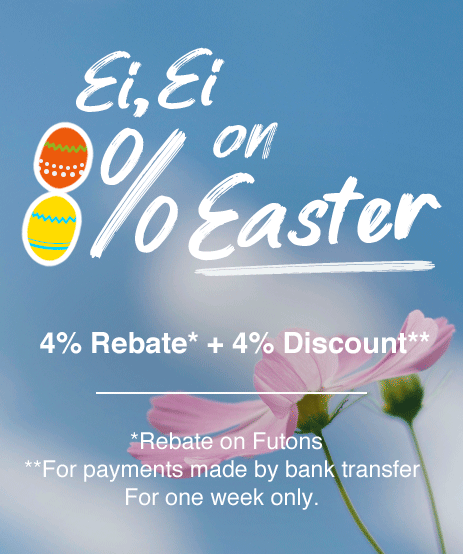 Moreover, Euro-Futon offers an advantage in comfort compared to the traditional variant: they are placed in beds like regular mattresses and don't have to be rolled up or fluffed. Just like the classic Japanese futon the comfortable Euro-Futon is processed primarily by hand and the core is sewed straight into the cover. Beside cotton, the European styled futon makes use of different natural materials like sheep wool, horsehair, coconut and natural latex/rubber. The elastic horsehair ensures a good exchange of air and moisture and adjusts itself to the sleeping position comfortably. The stable and air-permeable coconut fibers are specifically good for less ventilated surfaces like floors or podiums. If a point-elastic futon is favoured natural latex/rubber is preferably used. Natural latex/rubber doesn't need as much effort to maintain as natural fibres. For comfortable layer surrounding of the futon core, sheep wool is recommended because of its good characteristics: moisture is well handled, it isolates against the cold and works as a filter against scents. Depending on body weight, desired firmness and other wishes the futon from Futonwerk gets adjusted to every individual's needs. Two of the key characteristics of futon are its great diffusion capability as well as its climate activity. The well used materials easily take up moisture like sweat and condensed breathing air and let go of it during airing. Futons are always try as a result, which is the foundation for a good sleeping climate. Moreover, futon is very adaptive in terms of temperature because it comfortably adjusts itself to the body temperature of the sleeping person. This prevents the sleeper's body from cooling down too much during winter and from heating up too much during summer and improves the quality of sleep. 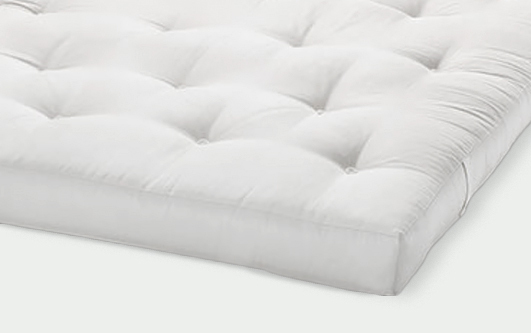 Unlike mattresses, futons aren't referred to as firm or soft but rather as to having different levels of firmness. The firmness depends on the materials used and their layering as core. Another difference compared to regular mattresses is the high functionality of futons. While with regular mattresses, the core is responsible for the load capacity and the quilted cover for the regulation of climate, futons combine both functions thanks to the lose layering of materials on the inside. This characteristic allows futon users to lie calm and firm, which means that couples aren't disturbed by their partners turning during sleep as much. When the futon is used directly on the floor or on a foldable sofa/bed frame, a thinner, rollable model from the shiatsu collection is better suited. It can easily be rolled up and stored away, allowing for more useable living space during daytime. And when combined to a TWIN futon, these fine futons offer full comfort. You can find your perfect futon on our product and information pages. Because natural, healthy and comfortable sleep is very important to Germans, they tend to spend more time with their own sleeping areas. 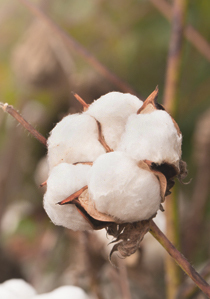 Climate active resources like all-natural, organically grown cotton, coconut fibre and natural rubber provide futons with the best preconditions for a healthy sleep. An ecologically reasonable production and a long durability of Futonwerk products underlines our aim for sustainability. For our precisely crafted futons we name an average relative lifespan of 15 years while maintaining low prices at the same time. Unconventional, customer oriented service starting with our consultation and ending with the delivery of the product makes the purchase of the perfect futon easier. However, a visit to our Showroom Dortmund can be helpful. Our luxuary futon classics - whether Bio Futon, DX Futon or shiatsu/TWIN futon - are all fitted with cotton covers made in organic quality. 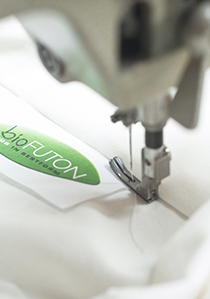 The Biofuton series also uses organic quality on the inside. All models are strictly tested for harmful substances and available in vegan variants as well. And if you need something specific, let's talk about it.